Home › Uncategorized › 1,000,000 words, and counting. 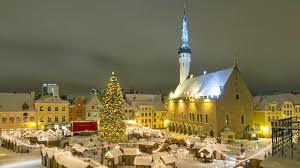 Tallinn Christmas market – probably the prettiest in the world! I post rarely. I write books often! My latest to hit the shelves this week is called The Meltdown. It's a series-concluding, all action, much drama – and it contains my one millionth published word. Now if that is post-worthy, I don't know what is. At the end of the book (so you'll have to read the book my advanced readers are saying is the best yet!) I even tell you what the word is. It couldn't have been more fitting. I've used the image from Tallinn (where I live) for two reasons. It's pretty, for sure. Estonia is also the country where I lived and first became published. It is (as far as I'm aware) the only country where paperback books are on the shelves of bookstores. Most of my readers (and sales) are internationally and eBooks. The Meltdown is my 12th paperback released (I think). You know, it's hard to keep count now. Each one is special, of course. They all form a collective. It is also book number six in The Hunt series, a collection I've been writing in for the last two years. I probably had the most fun writing this one. I think that's what shows and why my team have loved it so much. The book officially releases this week – Thursday 13th December is the public launch. Why not join me that day on social media to celebrate this achievement? Want a great series that just keeps getting better? Look no further. The adventure starts with The Prey. I've heard it said an author finds their voice at 1,000,000 words. I think I discovered mine already, but, just to be safe, I've reached that mark anyway. I'm in to the next million as well. I have two new novels coming out under T H Paul at the beginning of 2019 already. There's no stopping me now.